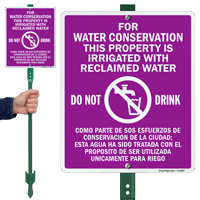 This sign warns everyone against drinking recycled water used to irrigate lawns or farms in your property. 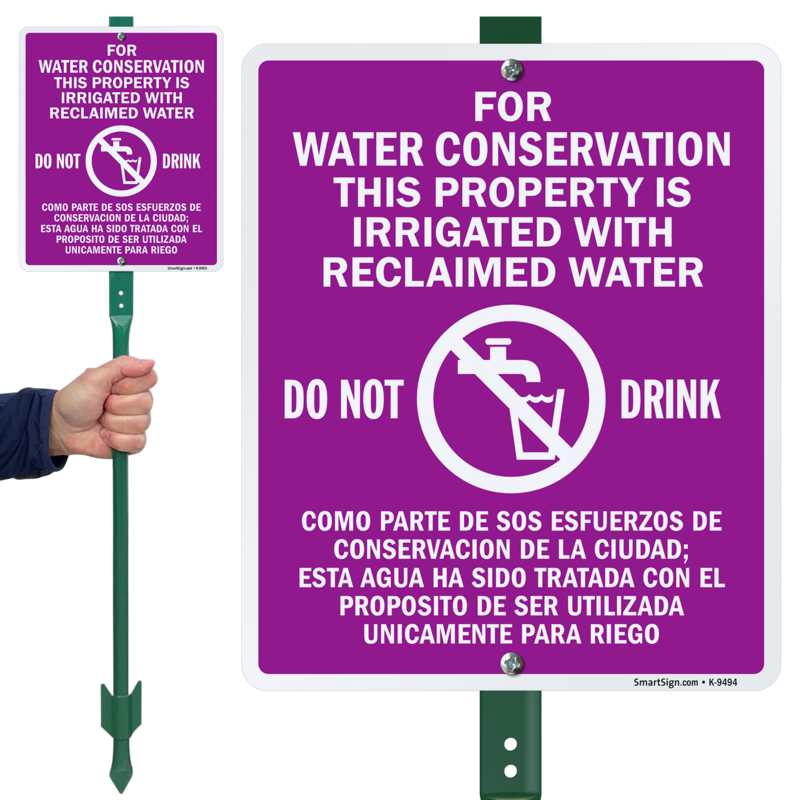 • The sign with stake is posted high enough to be noticed from a distance. 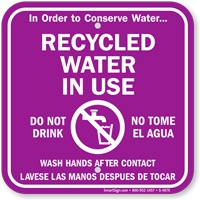 • Bright sign color grabs attention instantly.